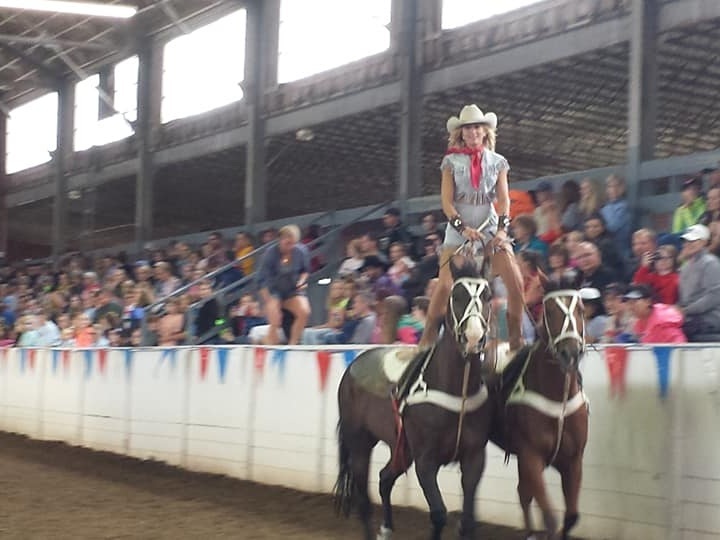 The Texas Trick Riders have brought quality entertainment to some of the biggest fairs across North America, from the State Fairs of California, Virginia, and Minnesota to the Canadian National Expo. We are now offering two different show options for fairs: the tried and true classic "The Texas Riders Show" and brand new this year, "Tricks and Tails." Ever wonder how they train horses to do the tricks and stunts on TV and movies? Stuntman and horse trainer Austin Anderson offers an entertaining and educational insight behind the scenes into the world of Hollywood horses. Austin has over 30 TV and film credits and introduces you to horses who have appeared on shows such as Sleepy Hollow and NCIS. Learn how Austin teaches his horses to bow, march, and even fetch! The audience gets involved with Q&A sessions and photo opps with the horses.